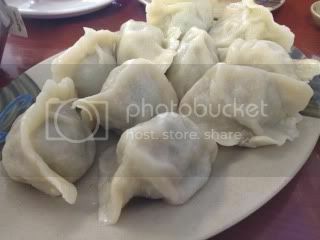 We found a great rustic and authentic Chinese (Beijing-style) dumpling house in Monterey Park. The place is called, Fortune Number 1, and their menu has a long list of steamed buns, boiled dumplings, as well as hot pot dishes, etc. For two of us, two orders of dumplings were more than enough. 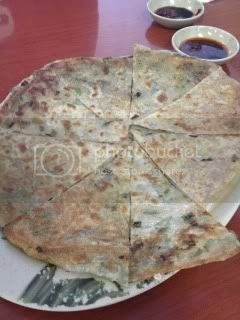 We also ordered a scallion pancake. 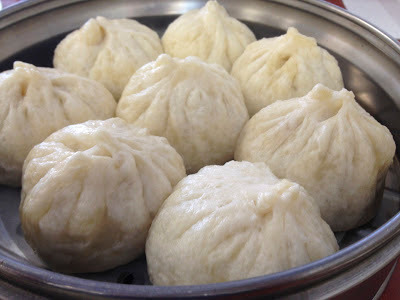 Both the pork buns and pork dumplings were really steamy and the doughs were perfect. Scallion pancake was really tasty, too. There were 8 knuckle-size buns in the steam basket, and each of us ate 3! I want to go back to this place to try other dishes, too. 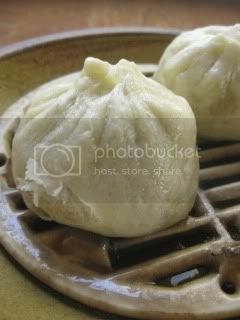 The next day, I heated leftover pork buns in my microwavable donabe, "Tochinsai". 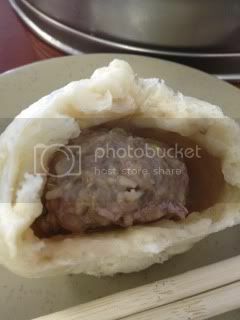 I know how buns normally get too firm and lose good texture if you just wrap them in plastic and microwave. 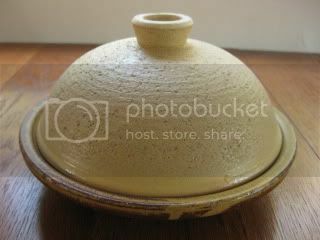 But, with this donabe, the buns came out like they were just out of the steamer! So, I could really enjoy the steamy Chinese buns two days in a row.